This report provides recommendations to leverage the full potential of Coahuila’s Local Anti-corruption System by identifying weaknesses and areas for improvement. 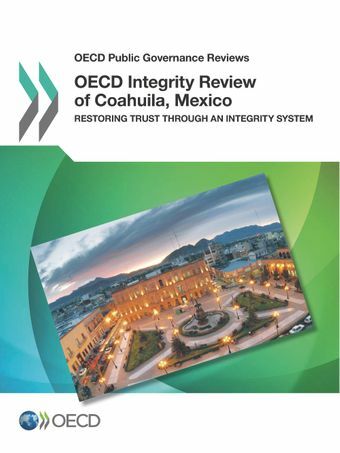 It provides a comprehensive assessment of the state’s integrity system, analyses efforts made to build a culture of integrity in the state public administration, as well as the extent to which Coahuila’s internal control and transparency mechanisms enable effective accountability. Furthermore, the Review focuses on an activity prone to corruption, public procurement. In particular, the report emphasises the risk of implementation gaps, which will need to be addressed to result in real impact for the economy and society. If effective, Coahuila’s Local Anti-corruption System has the potential to substantially transform the anti-corruption architecture of the State Government.